I tried 2 varieties of Amy's Breakfast Bakes: The Country Bake With Meatless Sausage and the Mexican Bake. Of the two, I preferred the Country Bake. The instructions ask you to microwave for 3 minutes, stir and then microwave for 1 more minute. Word of warning: Let the Bake set for 30 seconds after the first 3 minutes. It's scorching hot if you try to open the plastic wrap and stir immediately. The Country Bake With Meatless Sausage was overall quite nice. It tastes a bit more like Thanksgiving stuffing than it does a scramble. There's not very much tofu in the dish. Thus, the "egg" component that would make it seem more like breakfast was lacking. I thought the meatless sausage had a nice flavor, but it still has a bit of a cardboard texture that nearly all veggie sausages have. 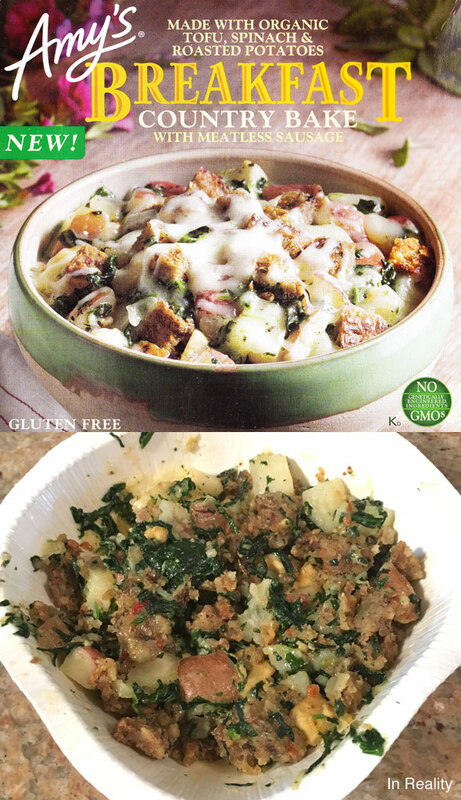 If you eat the potatoes, spinach and other components separately, nothing stands out as particularly wonderful. But when you get a big bite with multiple flavors, the overall impression is pretty satisfying. The Country Bake would have benefited by having more cheese and maybe some kind of gravy element. 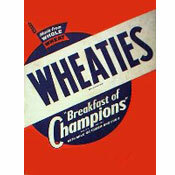 But overall, I liked it... when I came to terms that it doesn't have to taste like breakfast to taste good. The Mexican Bake is a bit more of mishmash where it's harder to isolate individual flavors. It's more like a thick chili than a scramble. The spice level is right between mild and medium. Like the Country Bake, it could have used more tofu to make it seem more like an egg dish. The ranchero-type sauce tastes distinctly Mexican or South Western but it isn't very bold or unique. The standout ingredient in the Mexican Bake is roasted potato. While the corn, beans and peppers blend together, the taste of roasted potato breaks through to have it's own personality. 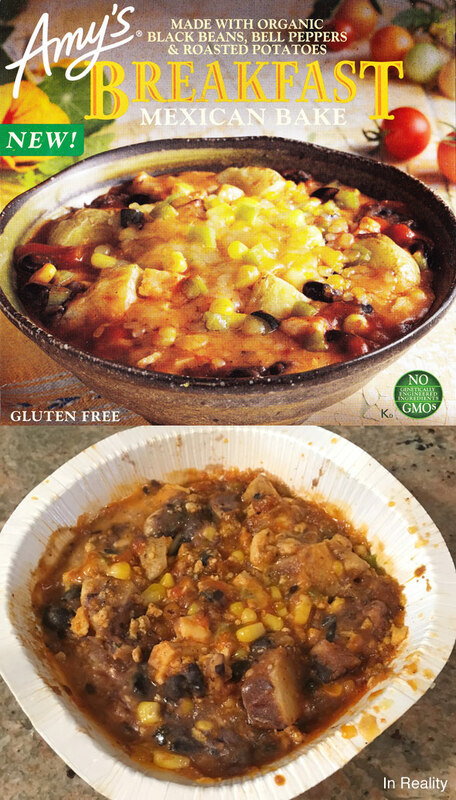 The Mexican Bake was visually less enticing than the Country Bake. It often looks runny and gloopy. The black beans are a little more tough and chewy than they should be. The packaging would have you believe that this is a cheesy product. It really isn't. But with those negatives aside, this was flavorful and satisfying - albeit to a lesser degree than the other Bake. If you're used to veggie dishes with tofu and meatless meats, you're probably going to like these products. If you mostly eat real eggs and real meat, you're going to be underwhelmed. 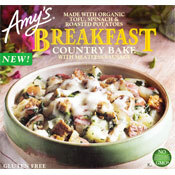 Each 1 bowl serving of Amy's Country Breakfast Bake has 420 calories, 24 grams total fat (9 grams saturated and 0 grams trans), 35mg cholesterol, 710mg sodium, 32 grams total carbs, 5 grams dietary fiber, 4 grams sugar and 19 grams protein. Each 1 bowl serving of Amy's Mexican Breakfast Bake has 450 calories, 22 grams total fat (7 grams saturated and 0 grams trans), 30mg cholesterol, 780mg sodium, 38 grams total carbs, 7 grams dietary fiber, 4 grams sugar and 24 grams protein. What do you think of Amy's Breakfast Bakes?